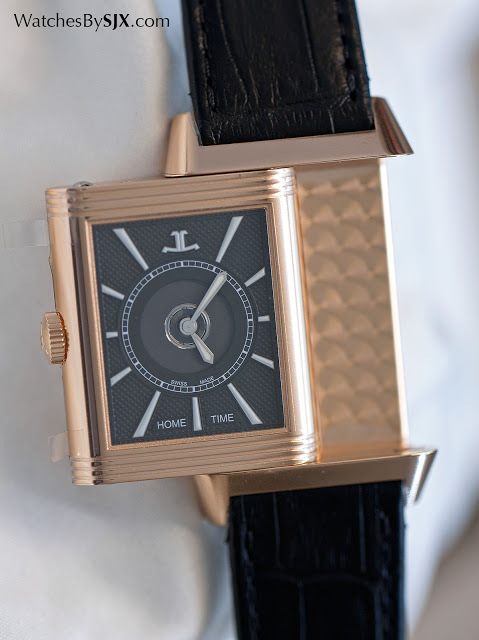 SIHH 2016 was all about the Reverso, with Jaeger-LeCoultre giving the line a makeover that included tweaking the signature case for better ergonomics. Here's all you need to know, complete with original photography and prices. 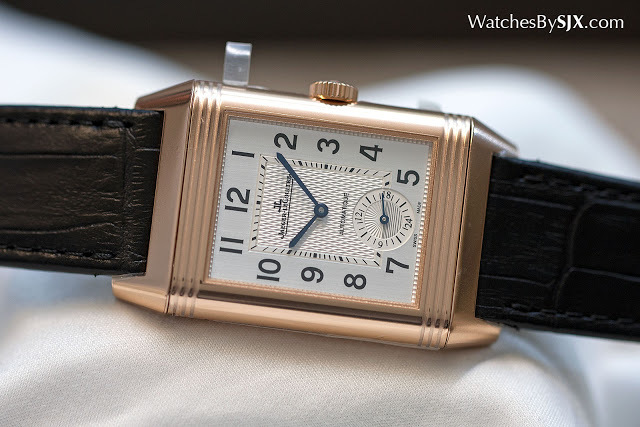 Jaeger-LeCoultre celebrated the 85th anniversary of the Reverso at SIHH 2016, marking the occasion with a streamlined line-up of Reverso watches, with the option of customising certain models. While the classic Reverso look remains, the new watches have a distinctive new character, along with a slightly redesigned case. Also notable is that fact that Jaeger-LeCoultre did not present a significant new complicated timepiece, as it did at past fairs. The prudent and measured approach to the 2016 line-up echoes what was found at IWC. 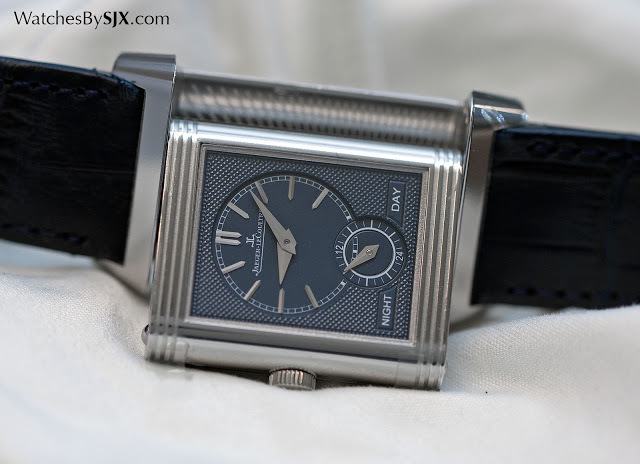 While the new Reverso case looks almost exactly the same as before, it features minor changes for a better fit on the wrist, a particularly useful improvement for the larger case sizes. The new case back is slightly curved, while the lugs are shorter. The redesigned case is found on all the new models. Also new is Atelier Reverso, a programme that allows buyers to personalise either the Duo or Duetto models with custom combinations of straps and dials, as well as case back engravings. Personalisation is limited to to the options and templates offered. Shoe designer Christian Louboutin was recruited by Jaeger-LeCoultre to be the first to use the platform, he worked on a series of Reverso watches that were exhibited at SIHH. Atelier Reverso is available online or at Jaeger-LeCoultre boutiques. The basic is the Reverso Classic, available in four models, all fitted with the sedate, guilloche silvered dial carried over from older Reverso models. 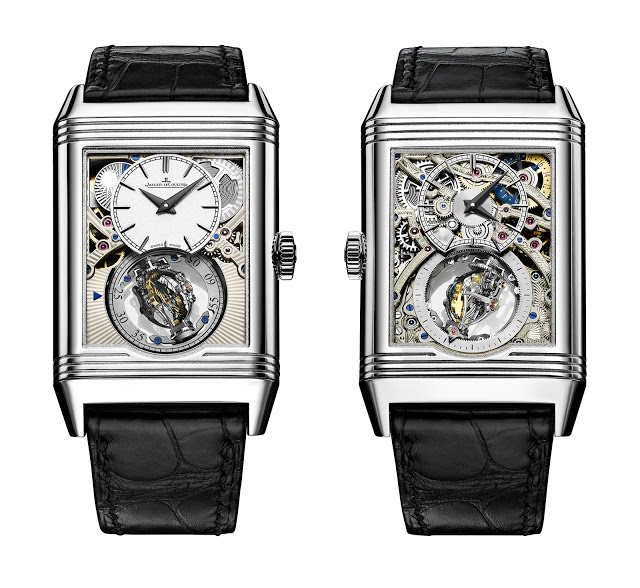 The Reverso Classic Large Duoface is the fanciest, with two faces that can show two different time zones. It’s powered by the automatic calibre 969, with home time on the front and local time on the reverse black dial. The black dial on the back is more modern and distinct from earlier generations of Reverso dials. 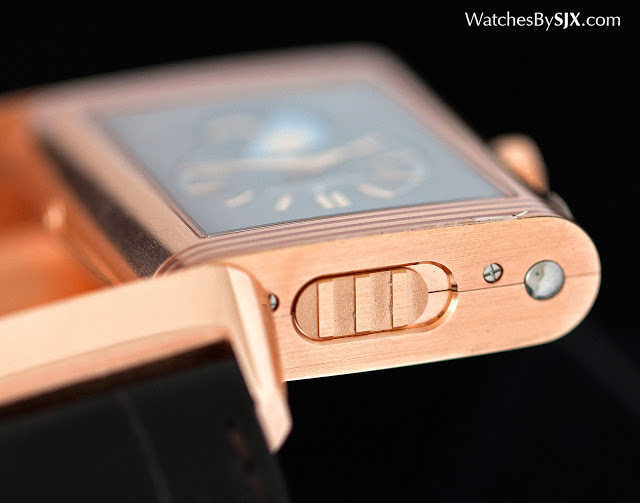 The case is available in steel or rose gold, and measures 28.3 mm in diameter and 47 mm long. It’s priced at US$12,200 in steel and US$22,200 in gold. In Singapore the prices are S$17,700 and S$32,300 respectively. 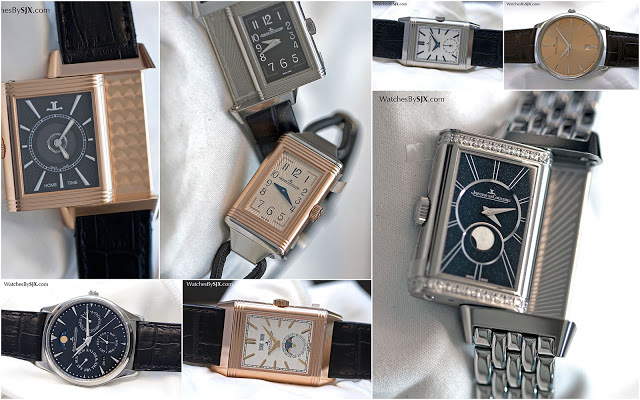 The other Reverso Classic watches are available in three sizes, Small, Medium and Large. The Small is quartz while the other two are automatic. More details can be found in our pre-SIHH coverage of the watches. Unlike the Reverso Classic, the rest of the new Reversos have fresh dial designs are that relatively original, and unlike recent styles. 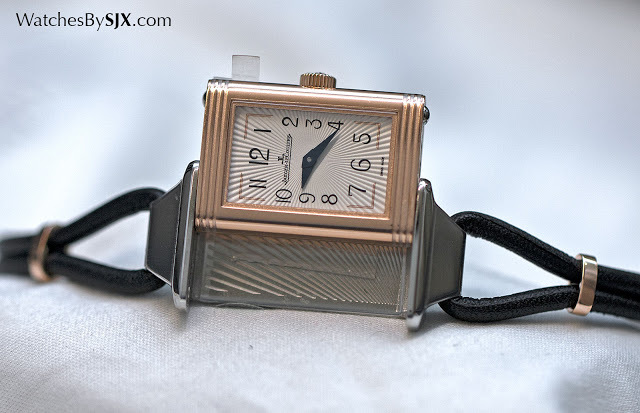 Perhaps the most interesting and attractive of the watches is the Reverso One line, a series of dainty ladies watches. 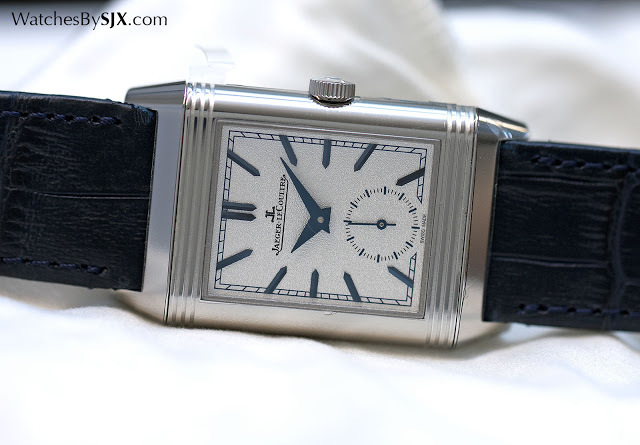 The first is the stainless steel Reverso One Réédition. Modelled on an original 1930s Reverso, hence the name, this is a tiny 32.5 mm long and 16.3 mm wide, an elongated shape that is more elegant than the typical Reverso. 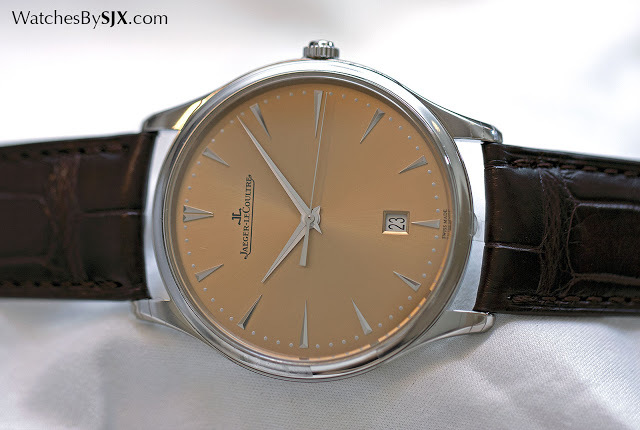 Shame that it is quartz, but the price of about US$5000 rules out using any of the minuscule mechanical movements Jaeger-LeCoultre makes (those tend to bring the price to six figures). In Singapore it will cost S$7550. 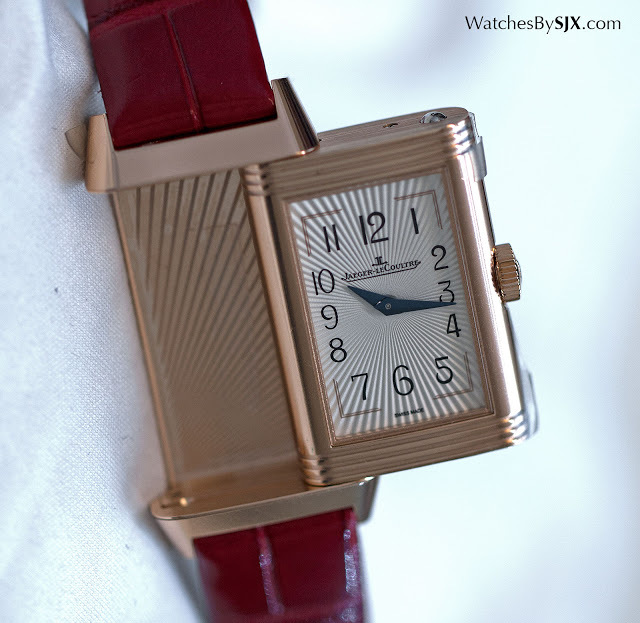 Also quartz is the Reverso One Cordonnet, so named because of the leather cord strap. It has the same diameter as the Reedition, but is slightly longer to accommodate the strap. 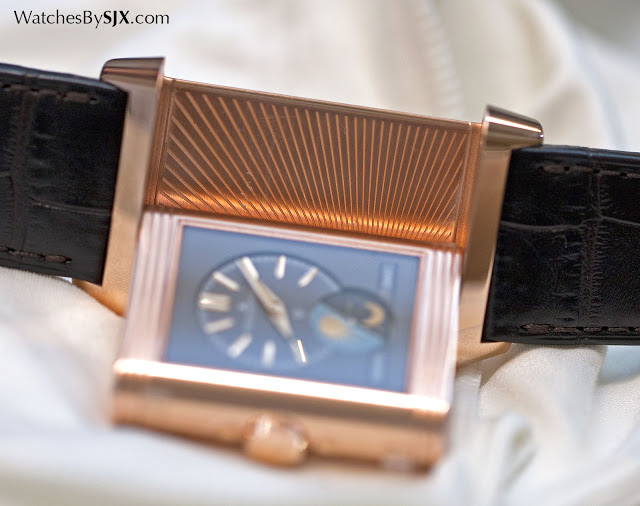 The case is steel and pink gold, and the price is S$11,700. 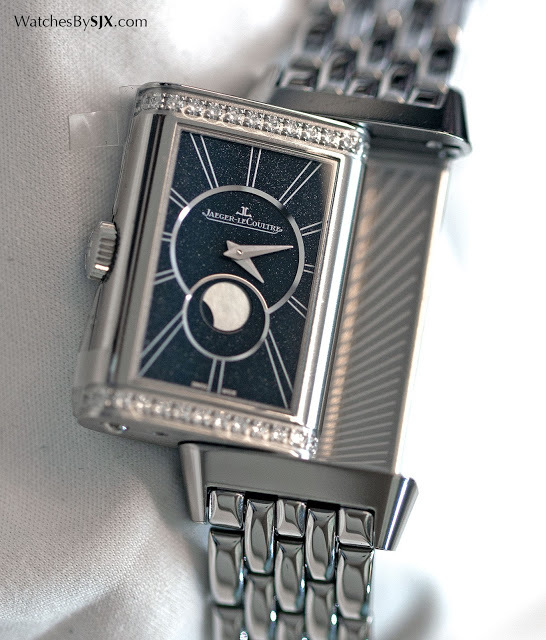 The Reverso One Duetto Moon, on the other hand, is mechanical and equipped with the hand-wound calibre 842. This shows two dials on each side of the case – both display the same time – intended for day and evening wear. The front dial is silvered with a sunburst guilloche, while the rear dial is more elaborate and features a mother of pearl moon phase. 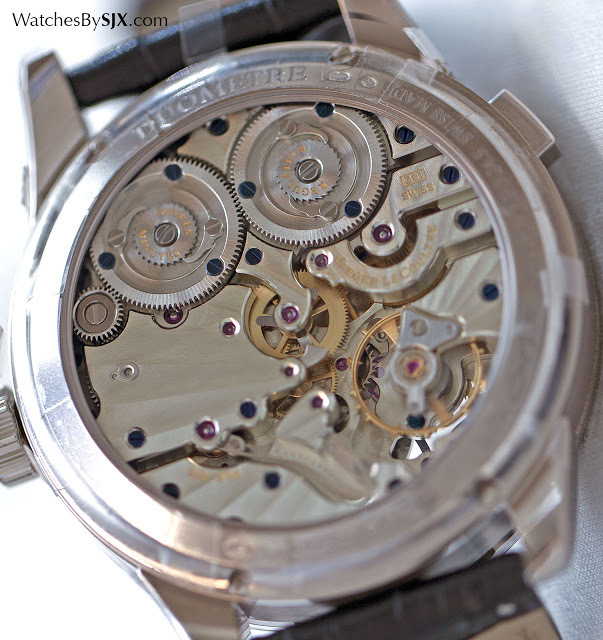 Because the movement is mechanical, the case is necessarily larger, measuring 20 mm wide and 40.1 mm long. This is available in steel or pink gold, either on a leather strap or matching bracelet. 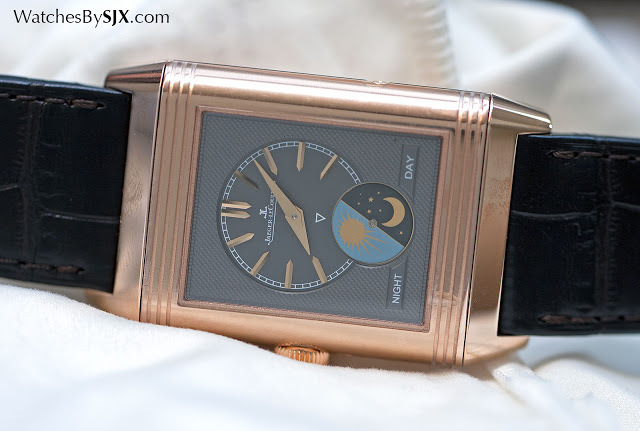 The Reverso One Duetto Moon starts at S$17,700 in steel and S$35,400 in pink gold. All the Reverso One watches also have a sunburst engraving on the carriage of the case, replacing the traditional circular graining. 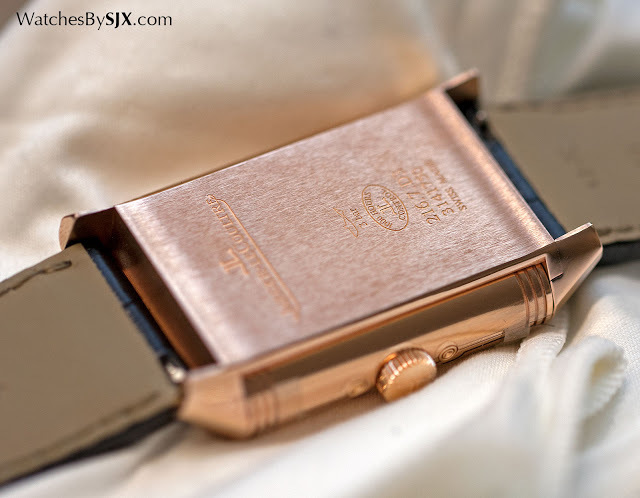 This sunburst engraving is also found on the Reverso Tribute timepieces. While it is attractive it is perhaps quicker to execute than circular graining. Sporting an entirely new look, the Reverso Tribute is characterised by baton hour markers and dauphine hands. 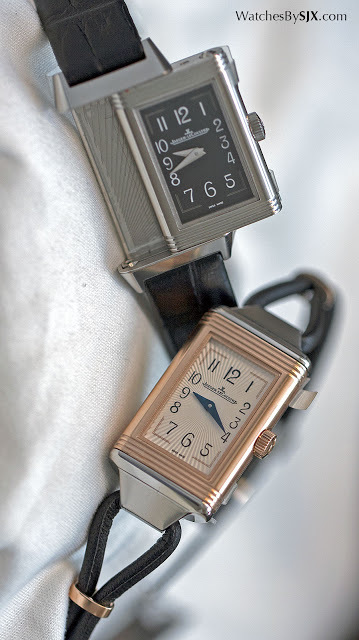 The Reverso Tribute Duo is hand-wound and shows two time zones on each of the faces. On the grained, silvered dial in front is local time, while home time is on the dark blue guilloche reverse face. Despite being vintage inspired, the look is relatively contemporary. Though the movement and functions are similar to existing models, this has one major improvement: instead of a button to advance the second time zone hour hand, that’s done via a slide integrated into the top of the case. The steel case is a modest 25.5 mm wide and 42.8 mm long. This costs US$12,200, or S$17,600. 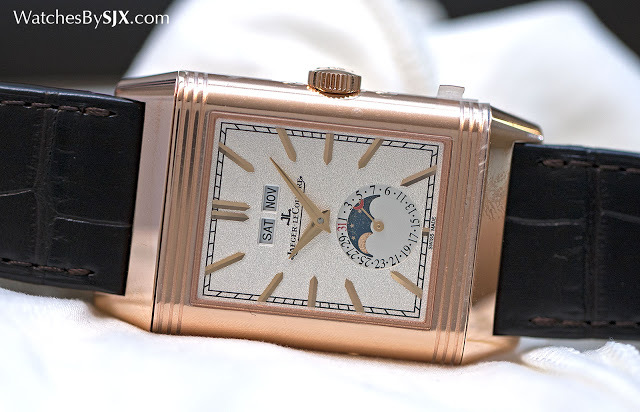 The Reverso Tribute Calendar also features the same hidden slide for the second time zone display. 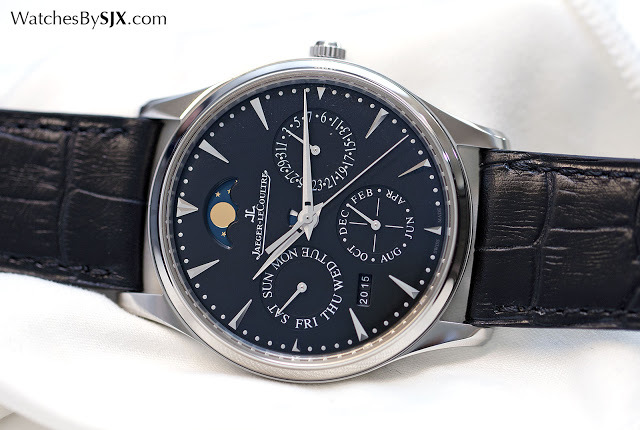 This is hand-wound with two time zones, as well as a triple calendar display on the local time face. Like its smaller brother, the local time dial is grained and silvered, while the reverse dial is dark grey with a hobnail guilloche. It’s powered by the calibre 853, a newly developed movement that combines complications from existing calibres. Available only in rose gold, this has a large, 49.4 mm by 29.9 mm case. 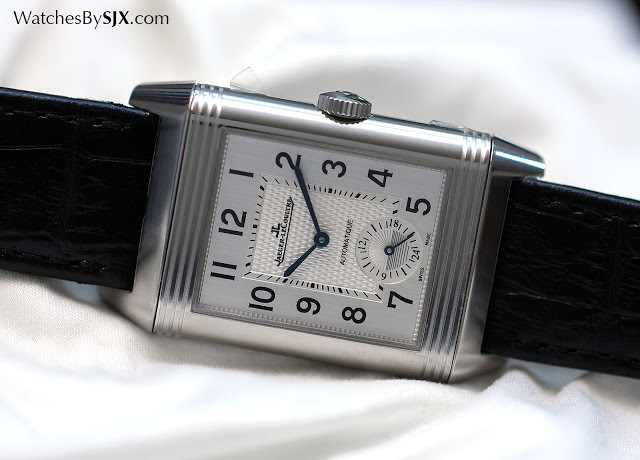 The Reverso Tribute Calendar is priced at US$25,200, or S$35,500. Featuring a similar design is the Reverso Tribute Gyrotourbillon that’s smaller and slimmer by about a third compared to its gargantuan predecessor. Priced at €270,000 and a limited edition of 75 watches in platinum, the new Gyrotourbillon is much more wearable. More on this in a later article. While the Reverso was the focus at SIHH, the round Master line also had several new additions. One of the simplest, but still attractive is the new Master Ultra Thin Date with a champagne dial. 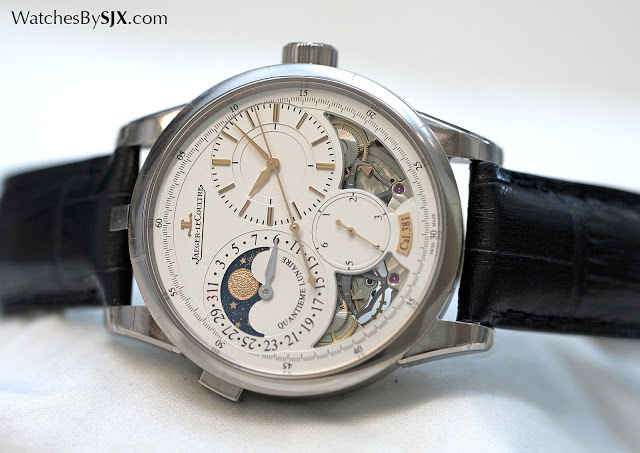 Priced at US$8100 (or S$11,500), this joins the more conventional silver dial version launched a few years ago. Slim and 40 mm in diameter, this is equipped with the automatic calibre 899. The 39 mm Master Ultra Thin Perpetual, one of the most affordable such complications at US$19,200 (or S$28,400), is also now available with a black dial. 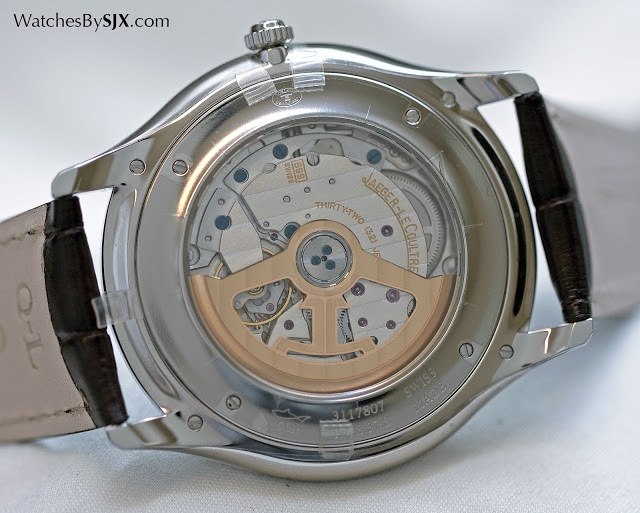 The calibre 868 inside is similar to the calibre 899 above, except for the perpetual calendar mechanism, so the view from the back is nearly identical. Another watch that received a face-lift is the Duomètre Quantième Lunaire (ref. Q6043420), with the key changes being the baton hour markers as well as a moon phase disc featuring a hand-hammered, solid gold moon. While the look is cleaner now, the earlier versions look arguably better, with the Arabic numerals suiting the overall style better. The case is white gold and 40.5 mm in diameter, smaller than the 42 mm first generation model. The price is US$43,000, or S$64,000. Update February 10, 2016: Prices in Singapore dollars added.